Lifetime Hearing Denton frequently asked questions is designed to answer as many questions as possible about our hearing loss products and services. It’s not unusual to have questions! We attempt to provide as many answers to the frequently asked questions we receive on a daily basis. Why Should I Have a Hearing Test? It usually takes a person 7 years to actually get around to having a hearing test and by then the the damage has been done. The lack of stimulation detected and prescribed too early has made it more difficult to bring back what has been lost to auditory cognitive deprivation. It is usually because most people have no idea that they are experiencing hearing loss. Our hearing is with us all the time. Gradually, as our hearing deteriorates over time, it can be hard to notice. But I compare hearing loss to looking at a picture of the grandkids. If you don’t see them for a while and then see a recent, more recent photo of them, you still think they look like the old picture. It isn’t until you have a comparison that you can then see the difference – then you say “Wow! Look at how much those kiddos have grown!” Hearing loss is like that, because it is subtle, and therefore you don’t think it’s changing. Typically, hearing tests are billed based on insurance set parameters, if unbundled. These amounts are usually covered by your insurance carrier. However, if the pricing is bundled by the facility they may include the testing cost in the purchase of the hearing aid. This means hearing tests would be at no (OOP) Out Of Pocket to the consumer. Remember if a hearing aid clinic or dispensary is contracted with an insurance company, the rates are pre-set by the insurance contract. So, if you see a charge on your EOB for a hearing test but were told there was no charge at your visit, it just means there is no out of pocket expense to you. The actual hearing testing procedure usually takes about 45 minutes, however, I tell folks to plan for 90 minutes, because most of the time patients tend to ask several questions and if a purchase is made, hearing aids are “Plug & Play” to a degree, meaning you can get hearing help the same day with RIC (Receiver-In -the-Ear) hearing aids. Custom products always take a bit longer because they are customized just for you and no one else, therefore those styles of aids usually take about 7-10 days to make. How Long Do I Have To Wait Before I Can Get a Hearing Aid? Hearing aids are ready to go for RIC aids (Receiver-In -the-Ear) style and can be customized on the spot for your ear while you wait. Other products that are custom fitted in the ear or canal, or Invisible In-the-canal products, must me made in a laboratory. This process takes from 7-10 days. How Much Do Hearing Aids Costs? The national average selling price for a single hearing aid today is about $2,375 per aid. This includes hearing aid pricing that start at $748 and going up to $3,198 per ear. Do I Qualify For Discounts On Additional Purchases? Yes. We offer a Trade-In Discount of $1500 off any new set of Linx 3D Models. Do You Offer a Refer-a-Friend Customer Loyalty Plan? Alternatively you can opt for a $100 gift card. In addition, your friend will also get an additional $250 off a set of hearing aids. Is Financing Available For My Hearing Aid Purchase? Yes. We offer offer financing through AllWell Credit or CareCredit. Both offer 0% Interest plans for 12 months. Click here to apply for finance through AllWell Credit. However, if you prefer to apply for finance through CareCredit, you will have to do so at our office. Can I Still Get Financing If My Credit Is Not Good? Yes, you can apply for BOONFI leasing, with buyout option at the end of your lease. You can get brand new hearing aids and pay for them under a lease for up to 36 months, payments can be as low as $139 month with no security deposit. You must apply for leasing at our office. Hearing aids do need to be cleaned and serviced regularly to keep them in good working order. At Lifetime we offer our ‘Lifetime Aftercare” program, this includes at no extra cost, routine quarterly office visits, annual hearing evaluations, 10 point cleaning and service checks, video otoscopy, and cerumen management. With the introduction of nano coating and Cerumen stop wax repulsion strategies, hearing aids are much more protected against the elements nowadays vs. years ago. Hearing aids will definitely hold up longer but may need to be repaired. Hearing aids come with a standard manufacturer’s warranty for a year and more advanced models have a 4 year warranty to protect against parts or labor. Standard repair charges not covered under warranty are $225 for a 6 month warranty, and an additional $40 for a year warranty. If the hearing aid is over 5 years old add another $90. All work is guaranteed to be up to factory specifications. If for some reason the hearing aid breaks after the repair has been made, it will be repaired at no additional cost. Now, if you are looking for a guarantee that a hearing aid will meet your needs or expectations, then you will need to complete a full hearing evaluation, and have the dispenser perform a WRS (Word Recognition Score) test to see what speech you are actually capable of understanding with and without amplification. Once this is achieved, the practitioner is dedicated to provide you with a product that will help you reach that amplified score %. For example, If you scored an 88% under headphones or inserts in a controlled quiet environment, then that will be the target the dispenser will shoot for and consider a success, not 100% – because that is not a realistic goal -since the cognitive portion of understanding has been compromised. With the best fitted hearing instruments in the world, you will only score as good as your brain can achieve. For example I can’t get 2 gallons of water out of a 1 gallon jug. It would be foolish to think that more could be given since it isn’t able to do so. However, if you still cannot reach a satisfaction level of expectation with a model or brand, the dispenser may consider a different product with you and try again to reach that goal. In Texas and most states, there is a 30 day trial period, that if a customer for any reason is not satisfied with his/her hearing aids, they can get a full refund less a predetermined fitting or lab fee, set forth in the sales agreement or contract. Can I Purchase An Extended Warranty for Loss Or Damage To My Hearing Aid? Yes, extended warranties and extended Loss and Damage plans can be purchased to extend coverage and secure the protection of your hearing aid(s) for up to three years after original manufacturer’s warranty (up to 5 years maximum). The cost of extended warranties vary between manufacturers, but are very reasonable, and well worth the protection they offer. How Effective Are Hearing Aids? Hearing aids today are better than ever before. They are able to think and respond in real-time ,isolate competing noises, and isolate speech signals to match your audiometric prescription. Hearing aids are more cosmetically appealing than ever before. With advances in technology it is not uncommon for more and more people to use a communicative device for either translation of languages, or even controlling hearing aids using their iPhone or Smart Phone. Hearing aids use batteries – either insertable or rechargeable. We stock both types – whichever you prefer. How Many Hearing Aids Do I Need? 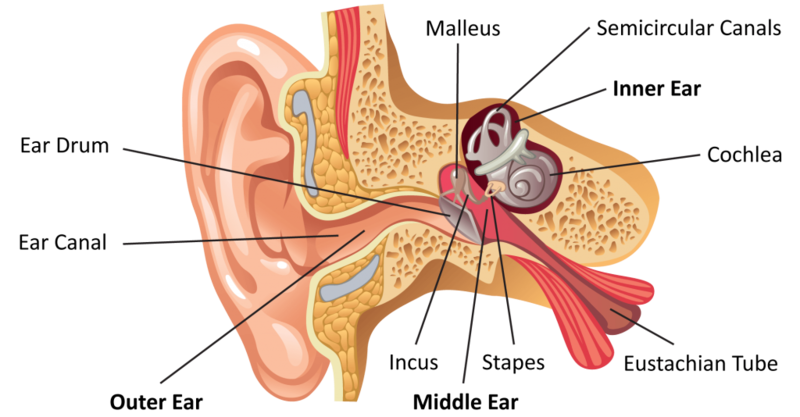 Typically, if there is hearing loss, you fit that loss for several reasons. Now that we are learning that auditory function is more critical in sustaining critical thinking and brain stimulation to deter the onset of early stages of Dementia and Alzheimer’s, it is even more important to keep what you have left going so that further deterioration of cognitive skills is held up. So, if you have hearing loss in one ear only, you can make do with one hearing aid. But if you have hearing loss in both ears, you will need two hearing aids. Mobile apps hearing aids are the smartest that they’ve ever been. Patients can now control their hearing aids with their Apple iPhone or Apple Watch. These mobile apps are setup to immediately change the settings or programs on the hearing aids to the best sound clarity as the patient sees fit. Alternatively, the hearing instrument can utilize the Environmental Optimizer and regulate the speech settings according to your hearing loss automatically. In the near future you will use your hearing aids to report on your body temperature, alert you of a medication you’ve missed, and even translate another persons language as they are speaking to you, in real-time. These aren’t your Grandma’s hearing aids! Copyright © 2019 Lifetime Hearing Denton. All rights reserved.